Business owners and homeowners alike hunt for handyman services regularly. Good thing there are companies who offer services online. Handyman companies in Singapore are now engaging their customers on the web. You just have to learn how to vet them properly, so you don’t end up dealing with an unprofessional handyman. Traditionally, when people search for a handyman they look in the yellow pages. Apartment complex’s in Singapore also have a message board where tenants can post their need for handyman services. Usually, the company often hired to do jobs in the building are those who are experienced working on the utilities inside the building. Much like any service, word of mouth is a barometer for companies to gauge their reputation in their service area. Past clients which can be friend or neighbor of a potential customer will more likely recommend a handyman that has helped them in the past. Hardware store workers can also recommend a reliable handyman. These are opinions to consider because they work in the same industry. But, with the help of the internet, handyman companies can now post ads for their services online. Websites such as Yelp and Kluje offer a platform for these companies to post their ads for customers to see. Yelp allows users to post their reviews on the pages of the companies that they’ve tried. They’re allowed to post pictures and other media to make their review or comment more believable. Kluje, on the other hand, allows an online bidding process for listed handyman contractors. Users can also view the profile of these contractors to help them make a decision. An interview allows you to gauge your handyman’s experience and reputation in the community/industry. You will also be able to learn about the services they offer including contracts of service or additional services and perks that you can avail. Here you can ask for their licenses, certificates, and other proof to be sure you’re working with a professional. Assessing their work experience can be done during this process as well. Ask them about their experience with your specific problem and how they were able to solve it. Plan – Professional handyman companies will be able to provide you a detailed work plan for the job you requested. This includes a list of materials, equipment, workers, and a set timeline for activities. Bidding contract – You should not always take the lowest bidder especially if it’s a service contract between handyman companies. Check the details on the contract including the quality of the materials, repair methods, and other details that would indicate quality outcome. Don’t fall into the budget handyman trap because you will regret it in the future. Service guarantee, promotional offers, and discounts – It will be favorable if you get a handyman service package that allows you to save money for the service you get. There are companies who offer lengthy service guarantees assuring you of free service in case of a failure in service. 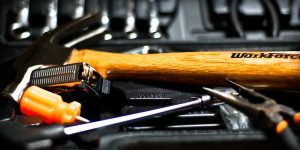 Service contract – Professional handyman companies in Singapore offer service contracts which binds the contractor to deliver the service requested by their client. It would not be advisable to hire a company that doesn’t offer you a contract. The simple guide we made was to give you peace of mind once you decide on hiring a handyman for a job. We hope you find the information we shared above useful in your search for a handyman service company in Singapore.